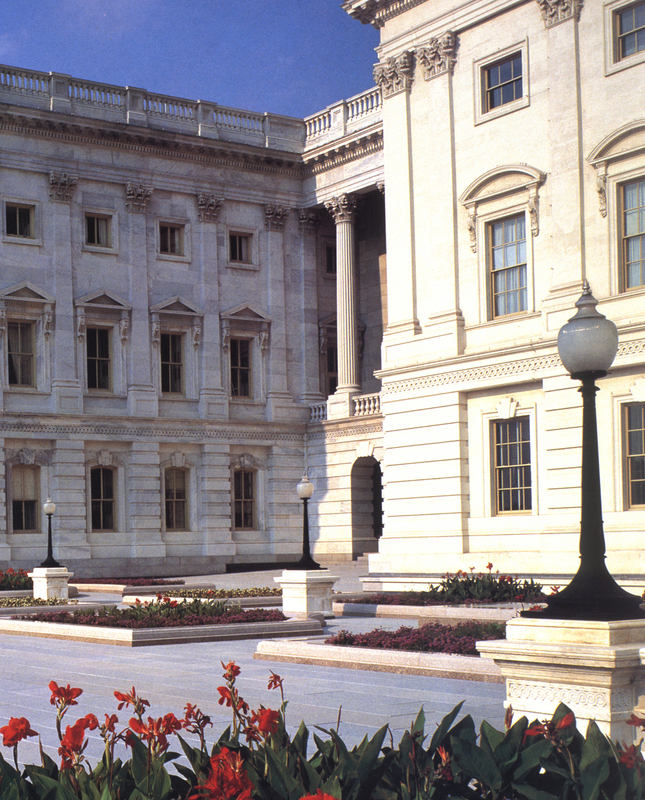 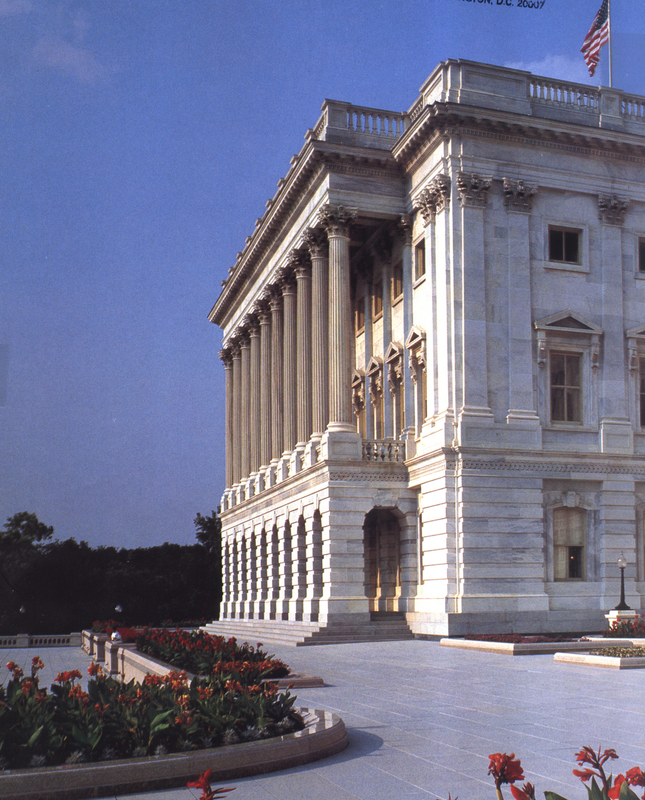 The objectives for the U.S. Capitol project was to redesign and resurface the west terraces including the infill of the winter gardens and to provide 150,000 square feet of office space below. 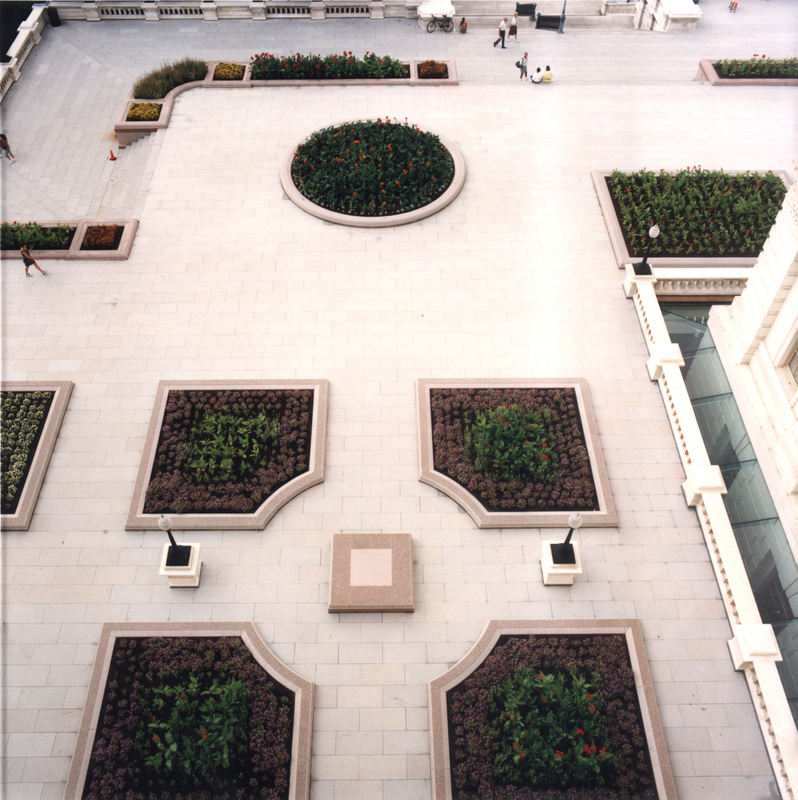 An arrangement of the French inspired parterres were designed to infill the former winter gardens (also know known as the 'Privates" before the great building acquired indoor plumbing in the 1920's), and a new corridor, roofed in structural/hyper- ballistic glass, was added by the architect. 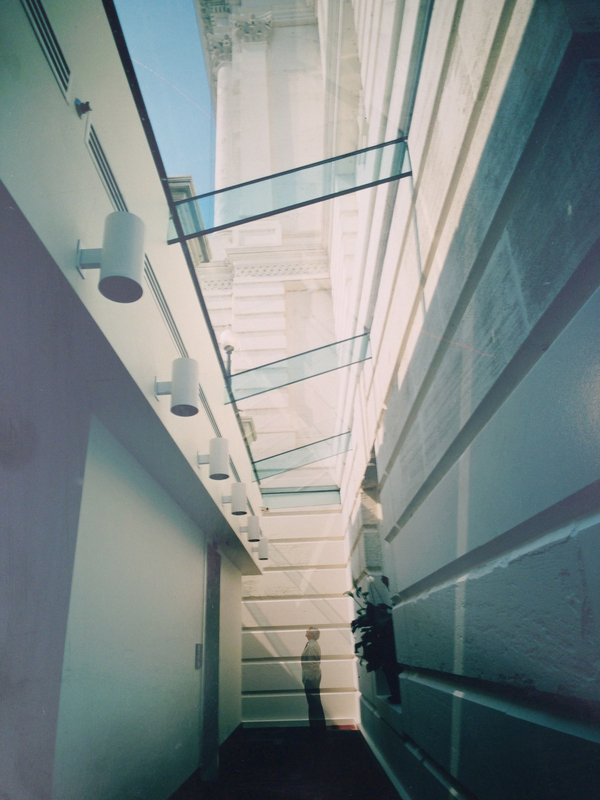 The whole motive of the design was that no new building would touch the sacred limestone of the Capitol, so a sleek band of glass was designed by Jacobsen that would wrap around the existing landmark building, the "Immaculate Incision" it was called.